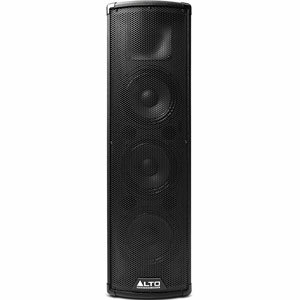 What benefits have users experienced when testing out the potential of this MUSYSIC Complete PA System ? 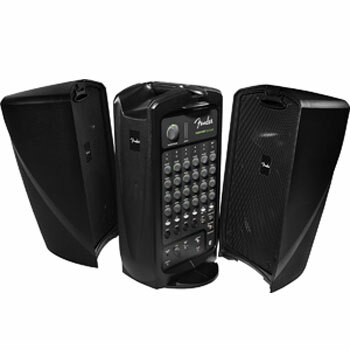 There are a number of users that talk about the price point on this PA sound system, with phrases like “budget system” and “worth it for the price” coming up a lot. There are some clear positives here in terms of the performance that users can achieve with the set-up. It does more than some had anticipated for the cost, especially when it comes to the volume produced. 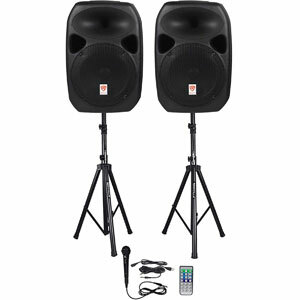 There are many that can use this is large garden parties and create a deep enough bass and strong enough volume to keep most party-goers happy. It is also an affordable way to help new users achieve a more complete set for their needs. This means that small church groups and self-employed speakers can set up everything they need wherever they choose. 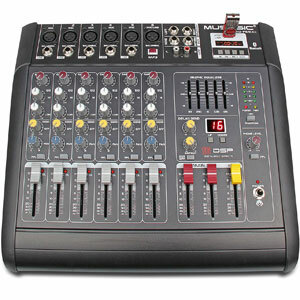 This system also contains the stands for the speakers, to improve their positioning and range, the 6 channel mixer board and those two wireless microphones. The microphones aren’t top of the line models, but they work well enough. Are there any issues with this MUSYSIC Complete Professional PA Sound System that new buyers need to be aware of? The problem with all of this talk of the budget system is that there are also going to be limitations. For every user that appreciates the power, volume and potential for their needs, there are those that are more knowledgeable about sound and speaker systems that see the downsides. This starts with the mixer, as the high and low bands don’t give users much room to play around and the bass is merely adequate. Others notice a humming or buzzing noise from the speaker at certain levels that suggest there isn’t enough power going into the speaker. This doesn’t usually affect the sound and music too much, but it is noticeable to the keen ear. Finally there are those that simply see the low cost in the construction. 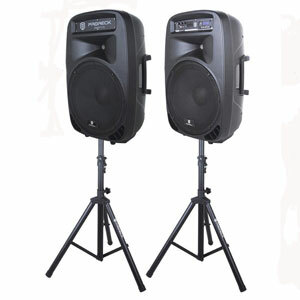 The speaker stands could be a little sturdier and others had to replace the batteries and speaker cables sooner than anticipated. Summary: what does this negativity mean for the final verdict on this MUSYSIC Dual-Speaker Professional PA System ? There is a clear target market with this system in the users with minimal experience and requirements. The majority of positive reviews come from those setting up backyard parties and speaking events in small church halls. The power, clarity and accessories are ideal for this situation, but nothing more. The designers could go back and fix the mixer, strengthen the materials and increase the power. However, this might push the price up past the budget of this demographic. 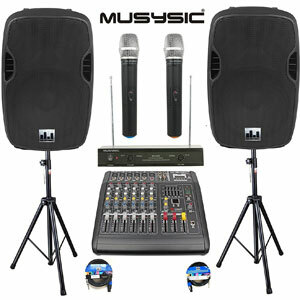 Therefore, the MUSYSIC PA system is recommendable because of the way it meets the needs of its key audience. Find more information about the MUSYSIC Complete Professional 2000 Watts Complete PA System on Amazon here.